Carly and Brad rearranged the former entry closet area to form a small vestibule that would block the direct view to the kitchen upon arrival. Instead of covering it with wallpaper, they created a custom stencil and painted it themselves on Cristmas Eve. 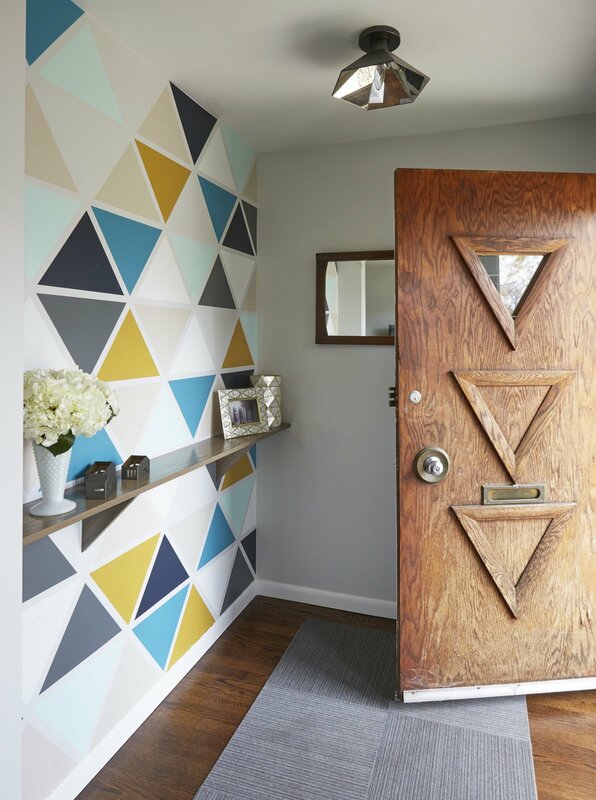 They used the colors that are used throughout the house, while the triangles take cues from the triangles that exist on the original door.